Brief History of the 304th Signal Battalion - "Ready, Always Ready!" The 304th Signal Battalion was constituted on 29 July 1921 in the Organized Reserves, and allocated to the IV Corps Area. It was organized in March 1922 in Atlanta, Georgia. The unit’s motto was Je Suis Pret ("I am ready"). On 3 November 1941, the 304th Signal Battalion was withdrawn as an inactive unit from IV Corps Area, allotted to the Chief Signal Officer, and reserved as an affiliate unit of the Southern Bell Telephone Company. On 8 December 1942, the battalion was re-designated as the 304th Signal Operations Battalion. On 20 January 1943, it was re-affiliated with the Northwest Bell Telephone Company. The battalion was again ordered into military service on 1 June 1943 at Camp Swift, Texas. The battalion was equipped at Camp Swift, but conducted most of its field training at Camp Bullis, Texas. In early 1944, the unit proceeded to the Louisiana Maneuver Area where it completed its preparation for overseas movement in the summer. In September 1944, the battalion departed from Fort Sam Houston, Texas, for overseas. On 19 November 1944, the unit debarked at Hollandia on the Pacific Island of New Guinea. The unit’s first operational mission was on 6 December 1944 during some of the bitterest fighting of the General MacArthur’s Pacific Campaign. The unit was assigned the mission of providing tactical communications to Headquarters, Eighth United States Army (EUSA). At the time, the EUSA advance had reached Leyte, Philippines, and Rear in Hollandia, New Guinea, and the battalion established communications systems in both countries. For its efforts in the Philippines, the battalion received the Philippines Presidential Unit Citation (Streamer embroilered 17 October 1944 to 4 July 1945). On 30 August 1945, three days before the Japanese capitulation, an 80-man contingent of the battalion landed with the 11th Airborne Division at Atsugi Air Base, Japan, and provided radio communications with Okinawa and the Philippines. Eighteen days later, on 17 September 1945, the battalion headquarters was established in the Imperial Silk Mill at Yokohama, Japan, and began operating in the ballroom of the New Grand Hotel. The battalion’s mission was to supply communications throughout Japan for Headquarters, Eighth United States Army. For its outstanding service during World War II, the battalion received a Meritorious Unit Commendation Award (Streamer embroilered Asiatic-Pacific Theater). The unit received campaign participation credit for the New Guinea and Leyte campaigns. On 25 March 1948, the battalion entered the Organized Reserve Corps (the Organized Reserves were re-designated as such). On 25 June 1950, hostilities began in Korea when North Korea attacked across the 38th parallel into South Korea. The battalion was alerted on 7 July 1950 and ordered to prepare a communications task force to set up an advanced headquarters for Eighth US Army Korea (EUSAK). Seventy-two hours after the movement order, known as the "July Cocktail Party," the battalion had equipped its men, prepared its equipment for shipment, loaded aboard ships, and departed Japan. The unit established its initial signal sites in the central part of South Korea near Taegu. Thus began a four-decade association between the battalion and South Korea. During the latter part of August 1950, with the North Korean offensive at its peak, the battalion’s forward-deployed VHF, RATT, and CW teams withdrew from areas north of Taegu to Pusan. At the same time, the battalion’s main body left Taegu, arriving in Pusan about 21 August 1950. Within a few days, the battalion rear echelon, which had been in Japan, joined the main body in Pusan. By mid-September 1950, the North Korean offensive was stemmed and the battalion advance headquarters moved from Pusan back to Taegu. From 11-13 October 1950, other elements of the battalion proceeded north with EUSAK through Seoul, which had fallen to, and was since retaken from, the Communist forces. As the North Koreans fell back in disorder, and EUSAK advanced, the battalion established communications systems in the North Korean capital of Pyongyang. As EUSAK continued its drive north to the Yalu River, teams from the battalion advanced as far as Sinanju, North Korea. During the closing days of November 1950, Communist China’s entry into the conflict forced the outlying teams of the battalion to withdraw while the battalion itself regrouped in Pyongyang. The battalion left Pyongyang on 3 December 1950, moving southward by train and truck. One detachment stopped at Seoul, while the main body continued south to Taegu. When the Communist offensive was stopped in the spring of 1951, teams from the battalion moved northward again, establishing switchboard facilities at Yongdongpo, South Korea (near the DMZ). Other communications facilities were set up to expedite plans for the anticipated United Nations Counter-offensive. On 6 July 1951, the EUSAK operational command post was established north of Seoul in Munsan-ni, South Korea. In early 1952, the battalion was widely dispersed, with its main headquarters in Taegu, an advance group in Seoul, and numerous detachments functioning separately throughout Korea. In February 1952, the main headquarters of the battalion moved to Seoul, where it remained for more than 25 years. On 9 July 1952, the Organized Reserve Corps became the Army Reserve; the battalion thus became a member of the Army Reserve. 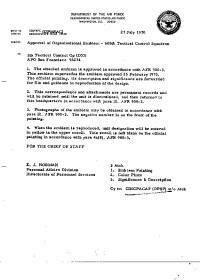 On 25 January 1953, the 304th Signal Operation Battalion was reorganized under a new table of organization and equipment (TOE) and re-designated (again) as the 304th Signal Battalion. The new organization provided signal communications and photo service for echelons of Eighth US Army headquarters, a joint operations center, and air-ground liaison teams. During April 1953, the battalion played a vital part in the history-making "Operation Little Switch", the exchange of sick and wounded prisoners of war among the participants of the Korean War. In June 1953, the battalion’s present shield and motto were approved by the Department of the Army. The former battalion motto Je Suis Prêt ("I am Ready") was replaced by Pret Toujours Pret ("Ready, Always Ready"). On 15 June 1953, the battalion was withdrawn from the Army Reserve and was allotted to the Regular Army. Two years later, the battalion’s coat of arms was amended to delete the Army Reserve crest. On 27 July 1953, the armistice was finally signed at Panmunjom and the battalion was present to handle communications for this historic event. For outstanding service during the Korean War, the 304th Signal Battalion was awarded two Meritorious Unit Commendation Awards (Streamers embroilered KOREA 1950-51 and KOREA 1952-1953). The unit received campaign participation credit for ten campaigns: UN Defensive, UN Offensive, CCF Intervention, First UN Counteroffensive, CCF Spring Offensive, UN Summer-Fall Offensive, Second Korean Winter, Korea Summer-Fall 1952, Third Korean Winter, and Korea Summer 1953. During the period 1954-1966, the battalion consolidated its elements and established its headquarters at Camp Coiner, Yongsan Garrison. In addition to maintaining its capability to perform its tactical mission, the battalion operated and maintained the garrison communications centers and telephone exchanges throughout Korea. On 8 August 1957, the 258th Signal Company (Construction) became a part of the battalion. During President Eisenhower’s visit to Korea in June 1960, the battalion supplied most of the communications required to support him, his party, and the press corps which followed him during his visit. In 1961, the battalion underwent several locational and organizational changes. The unit’s Message Center Company moved from Camp Coiner to Camp Humphreys. Designations of the companies of the battalion were changed at that time: Wire Company became Company A, Radio Company became Company B, and Message Center Company became Company C. In addition, the 181st Signal Company (Photo) was formed from the 6th, 12th, and 96th Photo Detachments and was assigned to the battalion. The 181st Signal Company was moved from Camp Tracy to Camp Coiner. Also, the 258th Signal Company (Construction) was moved from Camp Davis into Camp Tracy. In July 1965, the 258th Signal Company was removed from the battalion. This configuration lasted until March 1966 when Company C moved from Camp Humphreys to Camp Baker in Yongdongpo. Then, in order to conform more closely with Army-wide T)&E structures, Company C was re-designated as Company A and Company A as Company C. As a result, Camp Baker became the home of Company A. During his Asian-Pacific trip, President Lyndon B. Johnson stopped in Korea for a three-day visit starting 31 October 1966. The battalion was given the major role of furnishing communications for the President, his staff, and accompanying newsmen. Eight VHF and HF systems and two press centers were set up and made operational during his stay in Korea. In recognition of the excellent communications that were provided, the unit received a Presidential medal from the White House Communications Agency. On 1 November 1966, the US Army Strategic Communications Command established STRATCOM Group Korea which assumed much of the garrison communications mission being performed by the 304th Signal Battalion. As a consequence, the 57th Signal Company (Support) and the 181st Signal Company (Photo) were reassigned to the STRATCOM Group Korea. This altered the battalion’s mission and made it strictly a tactical battalion. Later, in December 1966, these units were attached back to the battalion for administrative and logistical support. In May 1977, the battalion headquarters, HHC and C Company were relocated from their facilities in Seoul to Camp William H. Colbern, located on the eastern edge of the city of Seoul. The camp is situated in the foothills of the remote Kumdan-san Mountains, 18 miles east of Yongsan Garrison. Sitting within the city limits of Hanam-shi, Camp Colbern has a picturesque view of forested hills and mountains to the west and east, and is bounded on the west by Highway 10. The camp was named in honor of MG William H. Colbern, US Army, whose 39 years of military service included participation in WWI, WWII, and the Korean War. The camp is situated on 72 acres, has 35 buildings, and has installation property valued in excess of $40 million. The Battalion Commander serves as garrison commander of Camp Colbern. Throughout the 1980s, the battalion participated in two major field training exercises a year (e.g., Team Spirit and Ulchi Focus Lens) and numerous command post exercises. New equipment field/force modernization continued throughout the decade. In the early 1990s, the battalion began the transition from ATACS equipment to the Digital Group Multiplexers/Tri-Tactical (DGM/TRI-TAC) family of equipment. In 1992, the DGM equipment fielding continued into 1993 when the unit received the DGM Antenna Mast Program (DAMP) antennas and Digital Troposcatter Radio Systems. In fiscal year 1995 the battalion participated in over 10 exercises and hosted a visit by the Army Chief of Staff, General Gordon R. Sullivan. Also that year, the battalion won the EUSA Army Community of Excellence (ACOE) award and received a Honorable Mention Award at the Department of the Army competition. The battalion won the United States Army information Systems Command (USAISC) Philip A. Connelly Award in 1995 in the "Small Dining Facility" category. The battalion also won the Brigade Olympics in 1995. 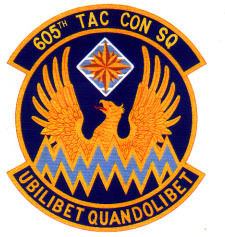 In March 1996, the 229th Signal Company (TACSAT) was put under the operational control (OPCON) of the battalion. This placed all of the 1st Signal Brigade’s tactical satellite terminals within the 304th Signal Battalion. 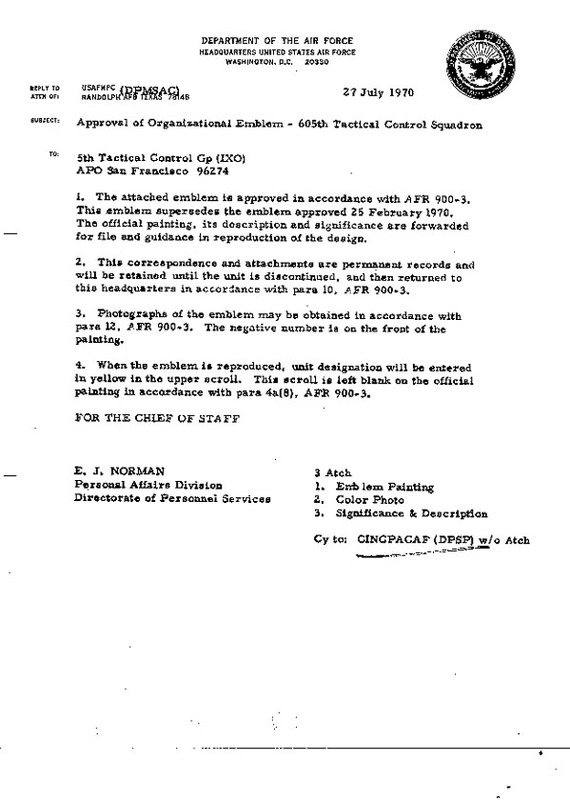 The unit ended its distinguished association with HF radios when it turned-in its Radio Teletype (RATT) assemblages. Also in 1996, the battalion won its second consecutive United States Army Information Systems Command (USAISC) Philip A. Connelly Award in the "Small Dining Facility" category. The unit was again a Department of the Army-level finalist for the Philip A. Connelly Award. The battalion won its second consecutive Brigade Olympics in 1996. Three cooks were selected to attend the Culinary Arts Institute; eight soldiers were selected as Brigade NCO/Soldier of the Month/Quarter in 1996. The battalion won the USAISC Retention NCO of the Year, the Brigade NCO of the Year, and the Brigade Soldier of the year. At the end of fiscal year 1996 the brigade received Honorable Mention, Small Garrison Category, as an Army Community of Excellence for Eighth U.S. Army and received a check for $25,000. The battalion started off fiscal year 1997 by winning its third consecutive United States Army Information Systems Command (USAISC) Philip A. Connelly Award in the "Small Dining Facility" category. The unit competed as a Department of the Army-level finalist for the Philip a. Connelly Award in November 1996. Today, the 304th signal Battalion is a forward-deployed; Echelon above Corps tactical signal battalion, consisting of four companies garrisoned at four widely dispersed locations in the Republic of Korea. The battalion’s HHC and C Companies are both located at Camp Colbern. Company A is located in Pyongtaek at Camp Humphreys. Company A moved from Camp Red Cloud in February 1997. Company B is located in Wonju at Camp Long, 60 miles southeast of Seoul. The 304th Signal Battalion’s mission is to provide a combat-ready, forward-deployed, theater tactical signal battalion for responsive signal support to CINC, UNC, CFC/ROK, USFK and warfighters in the Eighth US Army (EUSA) across the spectrum of operations. The battalion provides tactical command and control communications systems, including telephone, message, and data communications, to support warfighting requirements. The battalion provides communications support on Eighth US Army’s annual series of training exercises, which include Ulchi Focus Lens; Foal Eagle; and Reception, Staging, Onward Movement, and Integrations (RSOI). The unit also participates in Team Spirit exercises (when held). Quarterly, the unit conducts in-house MOS Signal Schools, holds maintenance stand-downs, and participates in brigade/battalion-level field exercises. Annual, the unit conducts a Sub-Unit Evaluation (SUE) for all signal teams and conducts Infantry Week for all unit personnel. I read your history of the 304th Signal Battalion. I was a member of that Battalion from January 1966 through May 1967. I was initially assigned to Company C 304th Signal Battalion and then transferred to the 258th Signal Company - 304th Signal Battalion. I noted one thing in the article that is inaccurate in this write up. I know for sure that the statement that the 258th Signal Company was severed from the 304th Signal Battalion in 1966 is definitely NOT true. I was the Supply Sergeant for the 258th until approximately May 10th of 1967. As of my departure date, the 258th was still part of the 304th Signal Battalion and I knew of no plans to do so. I left the company and was discharged from the Army in Ft. Lewis on May 12, 1967. The 258th may have been severed after my departure but I have no idea when that might have been.